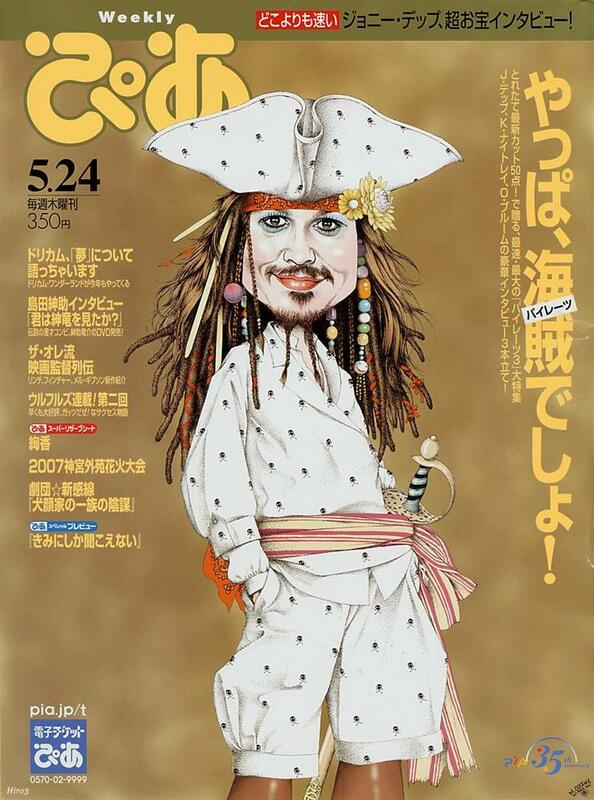 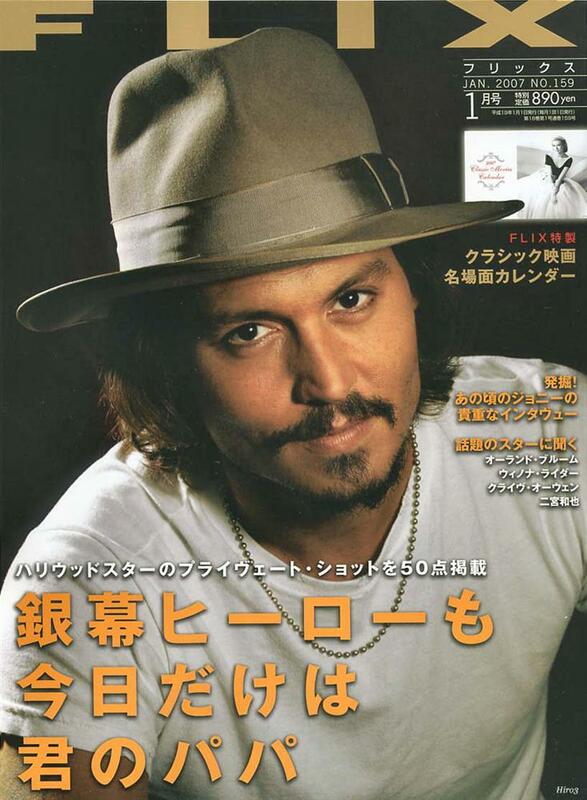 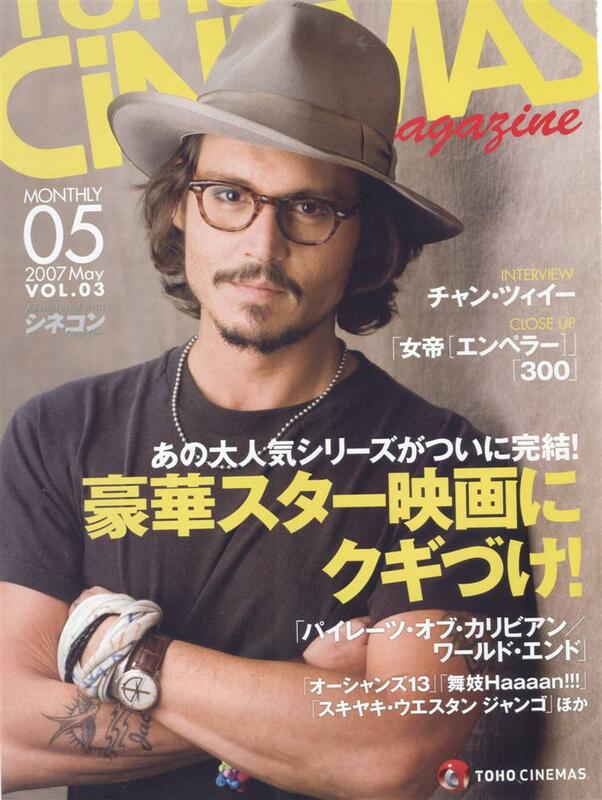 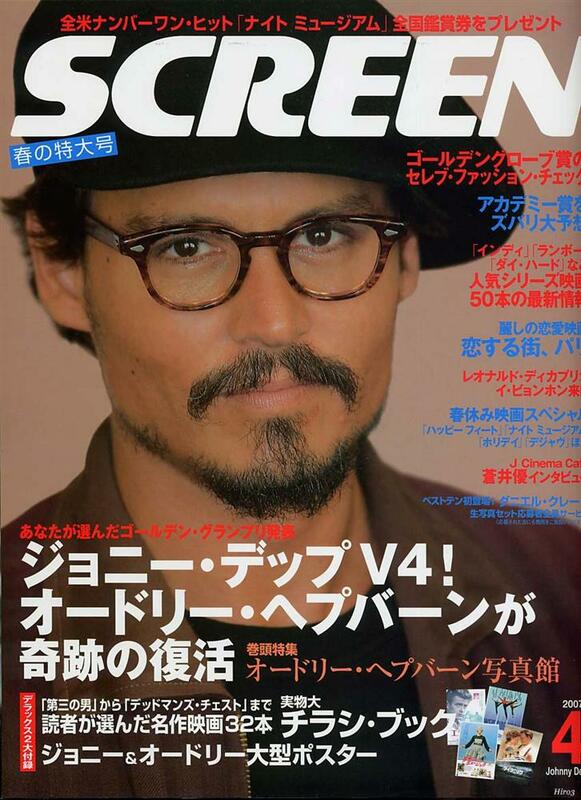 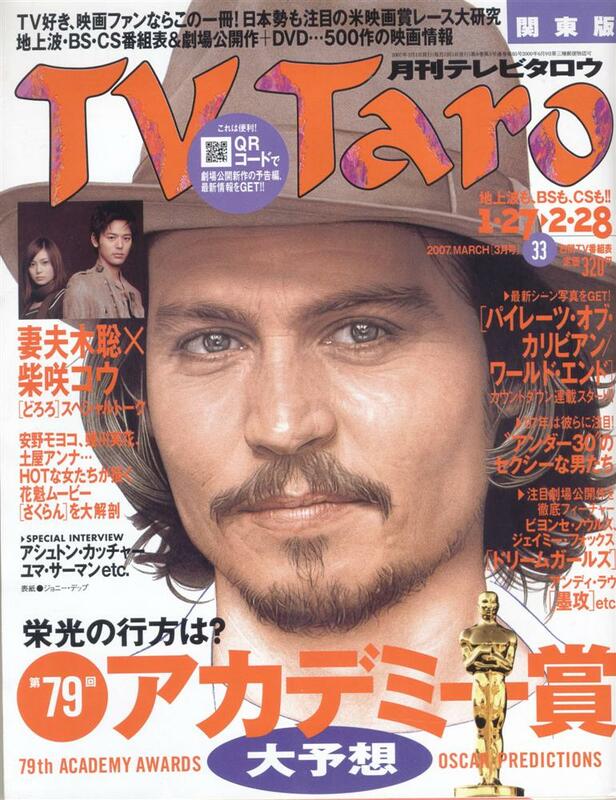 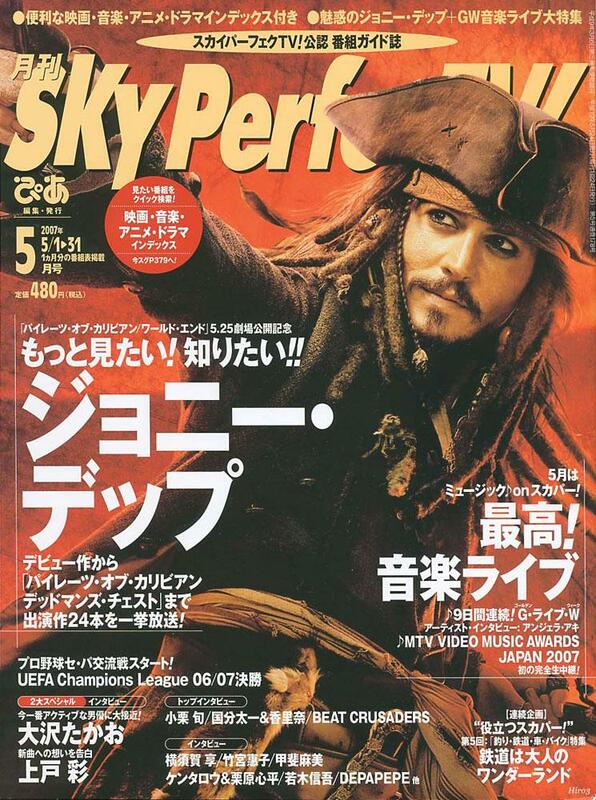 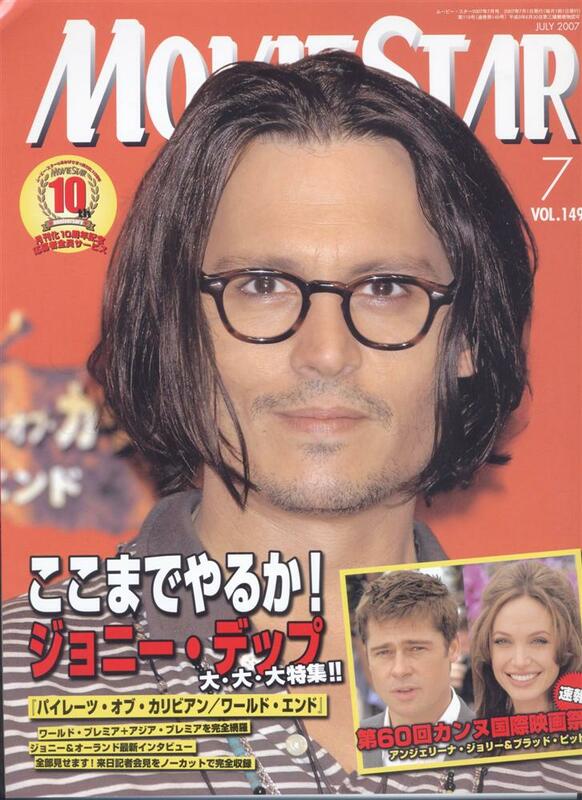 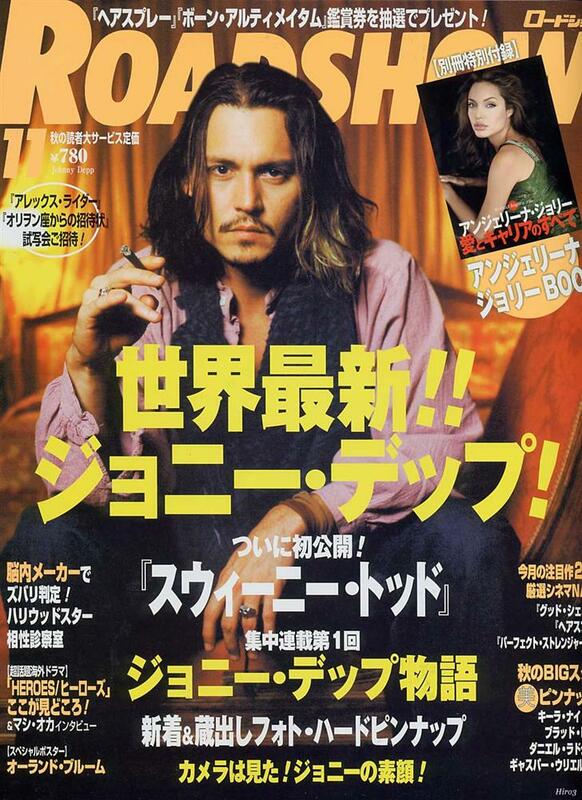 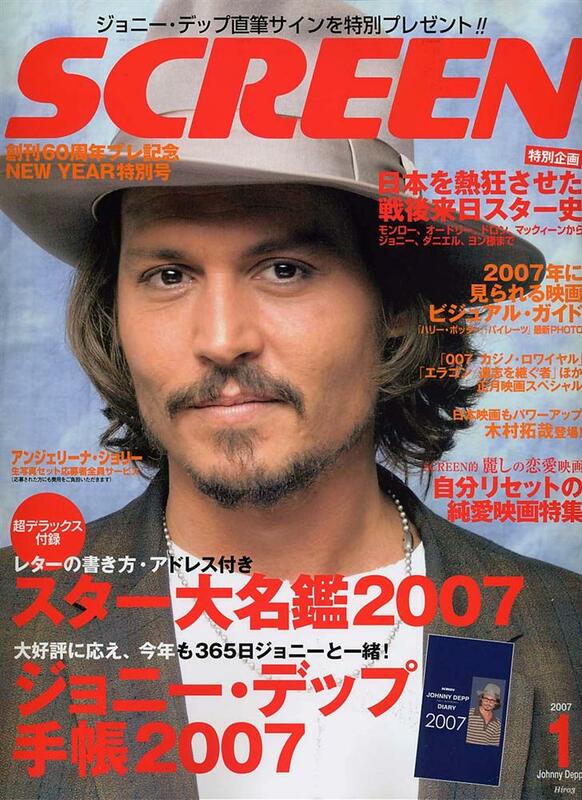 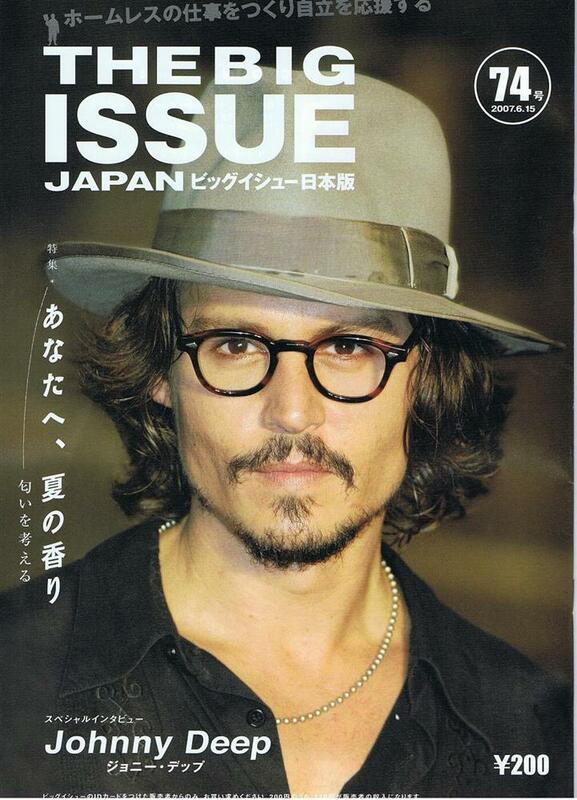 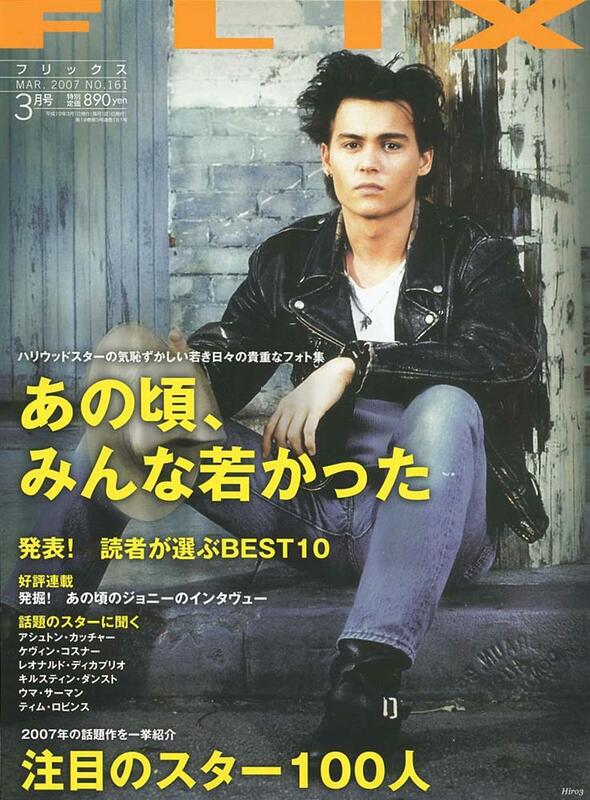 This gallery continues our collection of Japanese magazine covers featuring Johnny Depp. 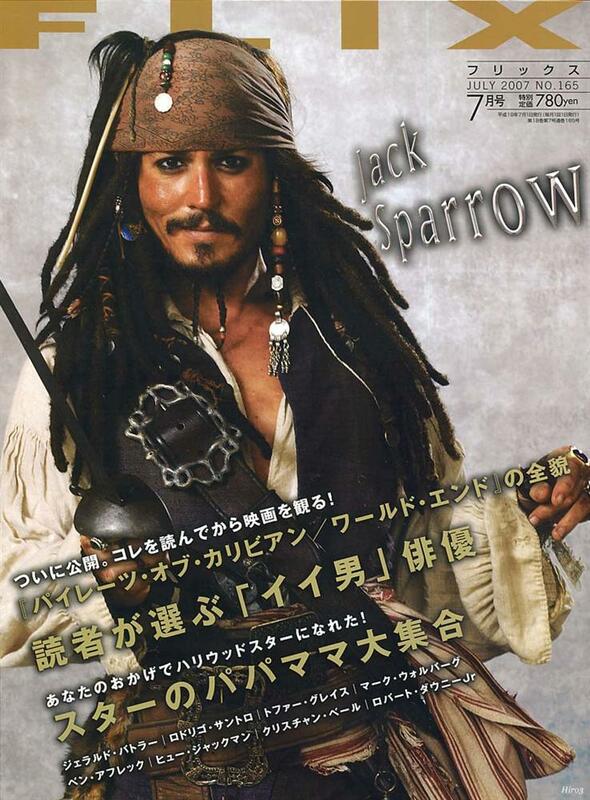 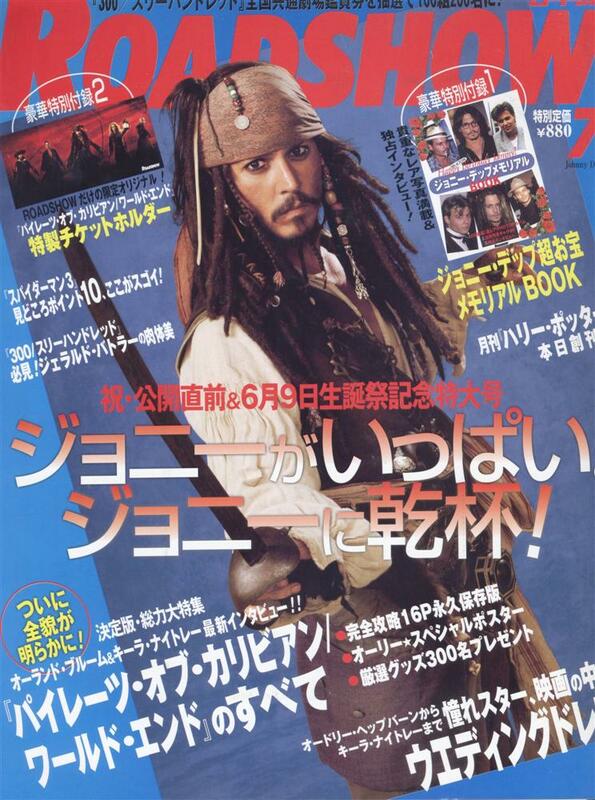 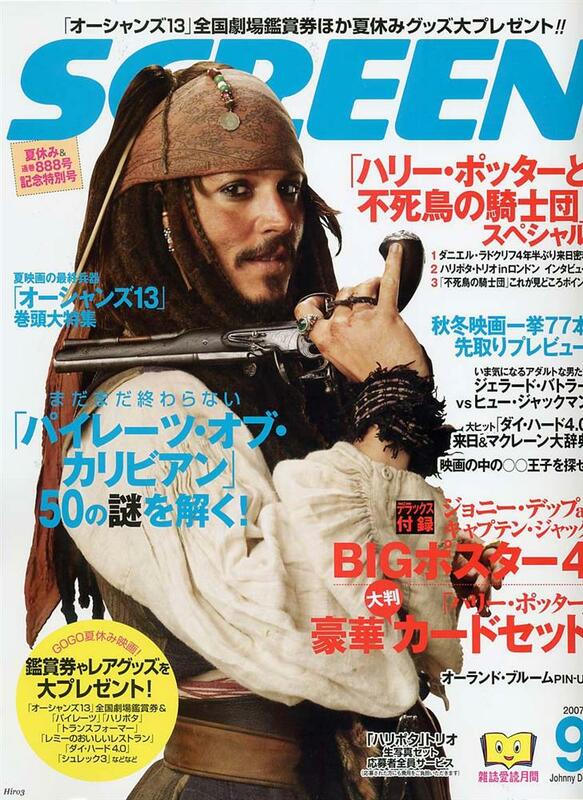 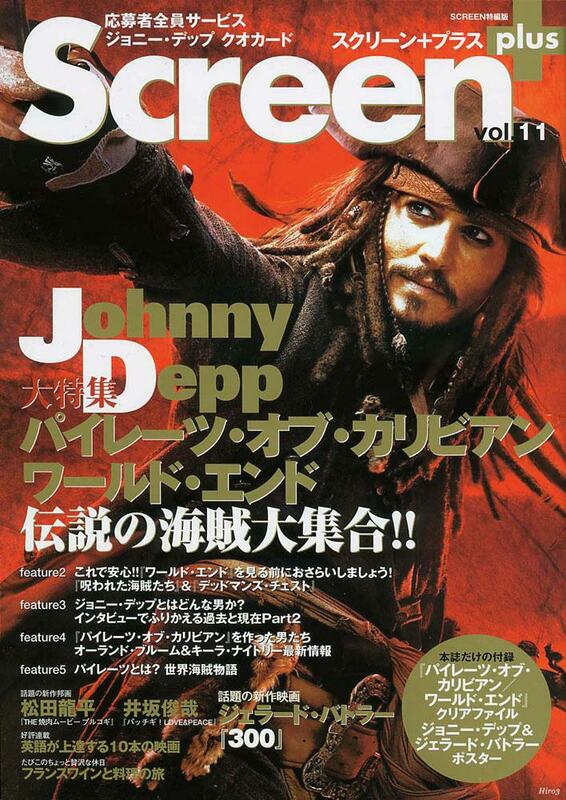 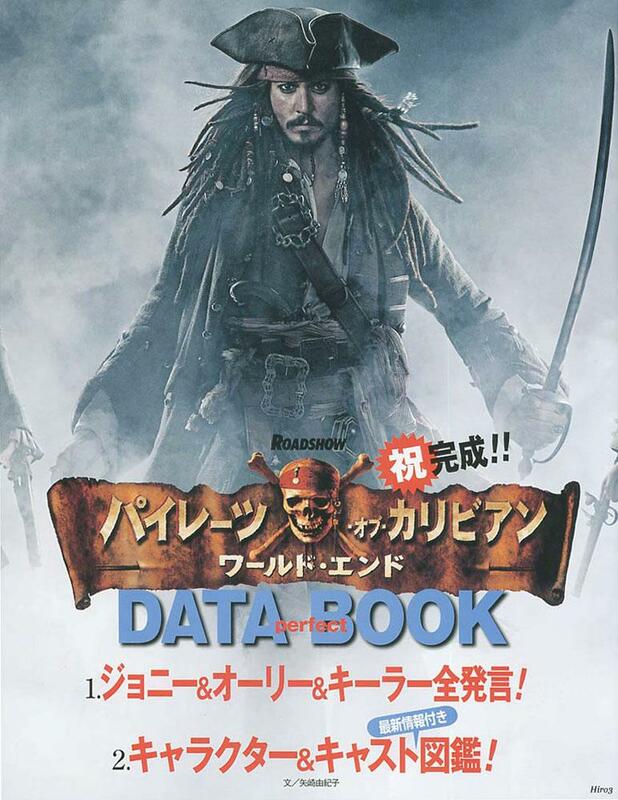 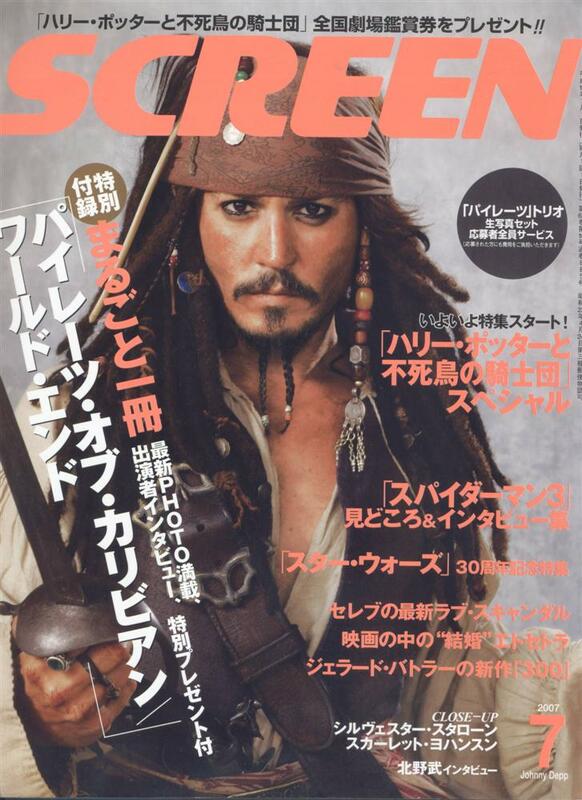 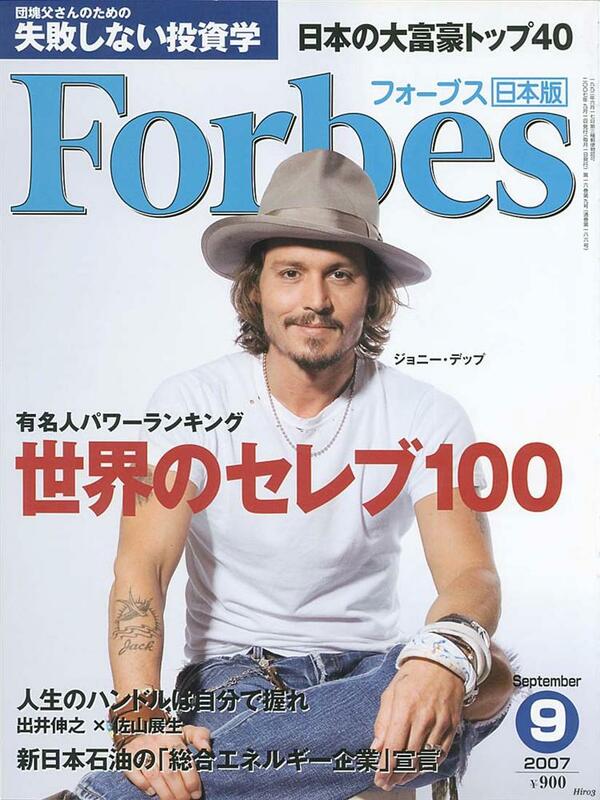 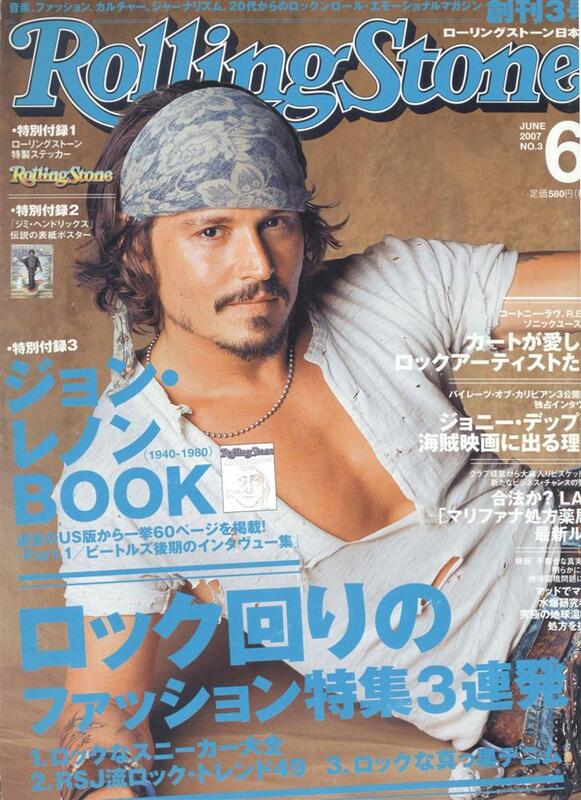 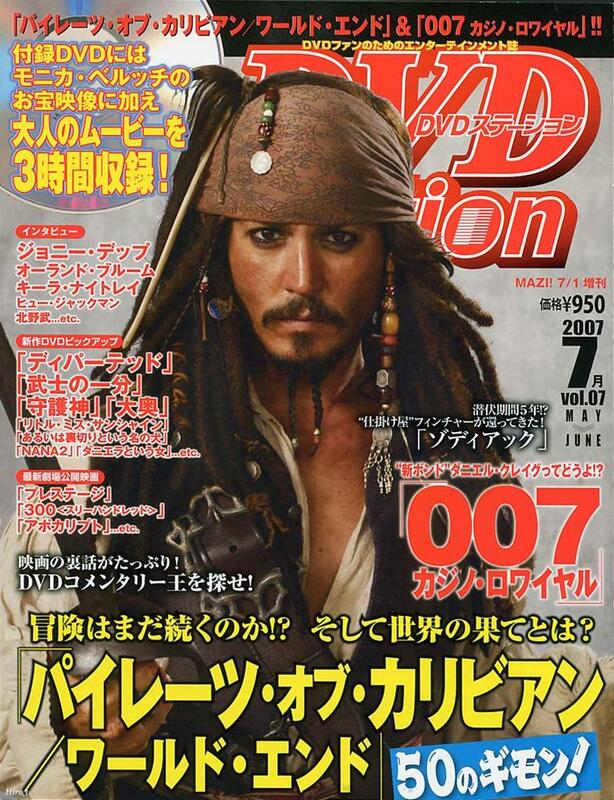 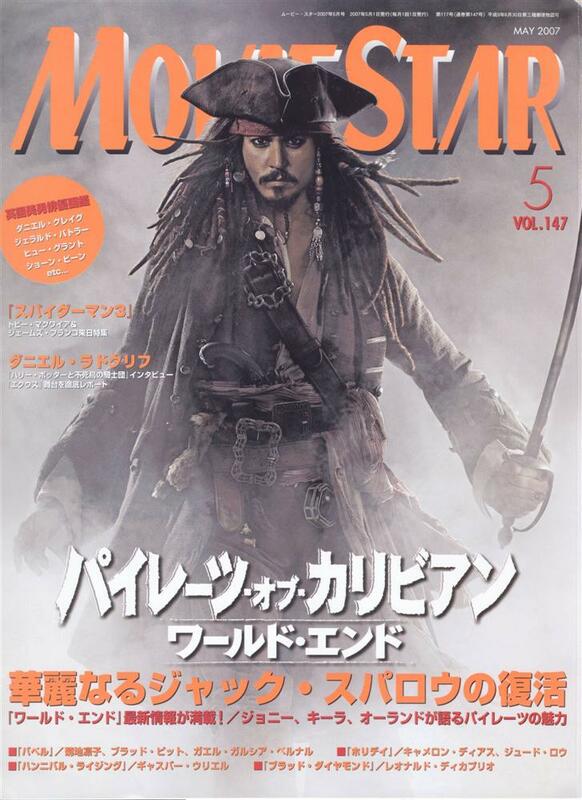 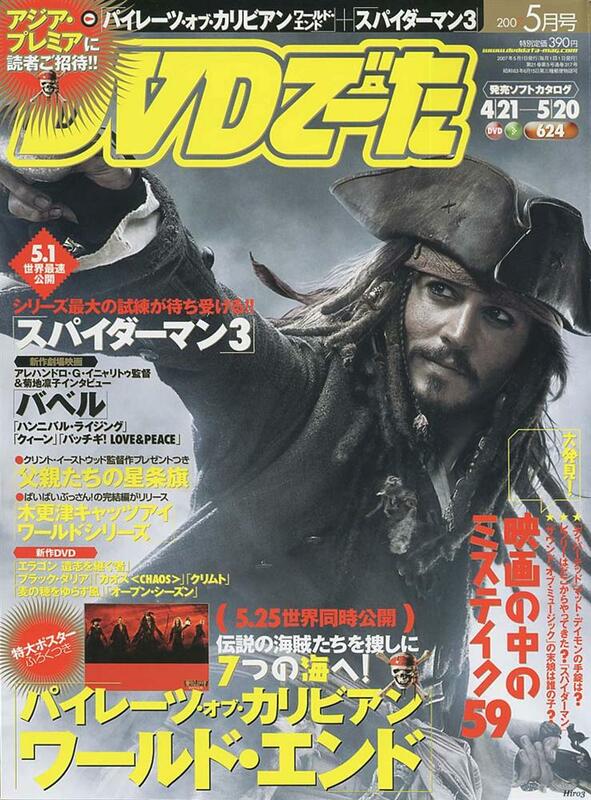 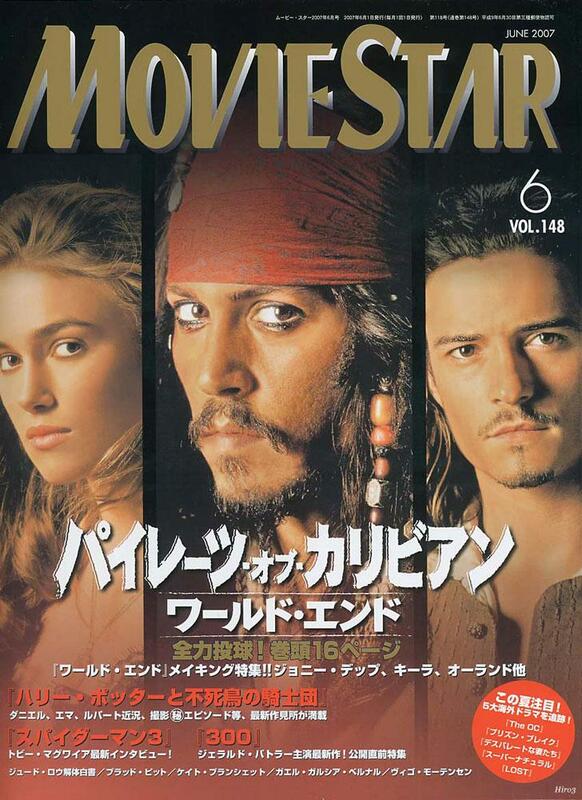 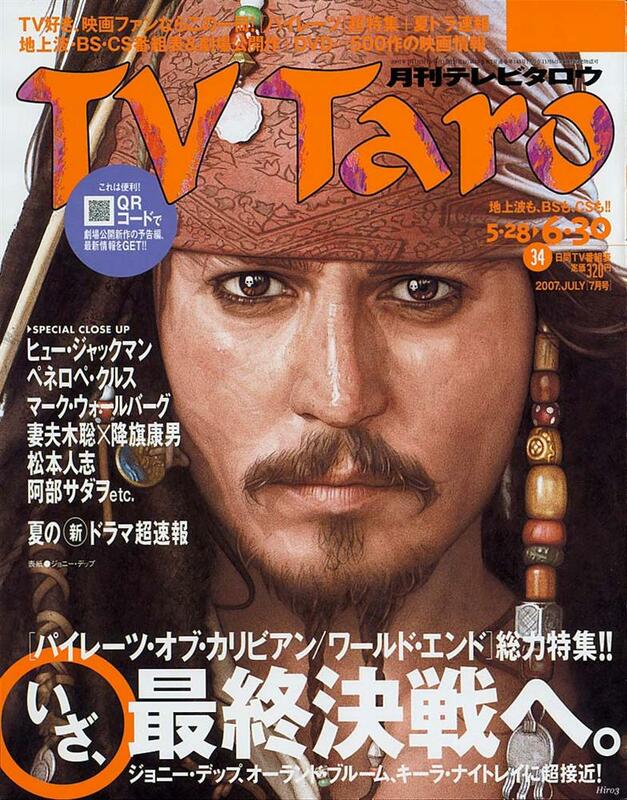 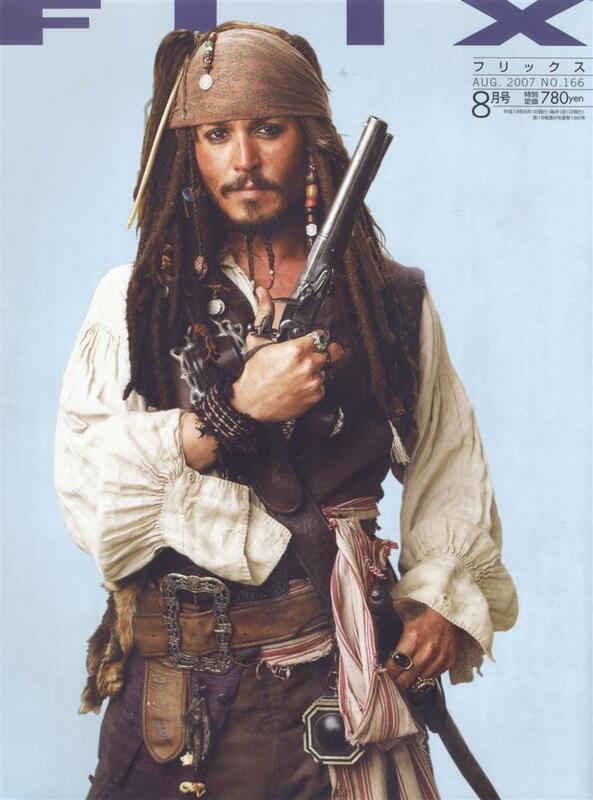 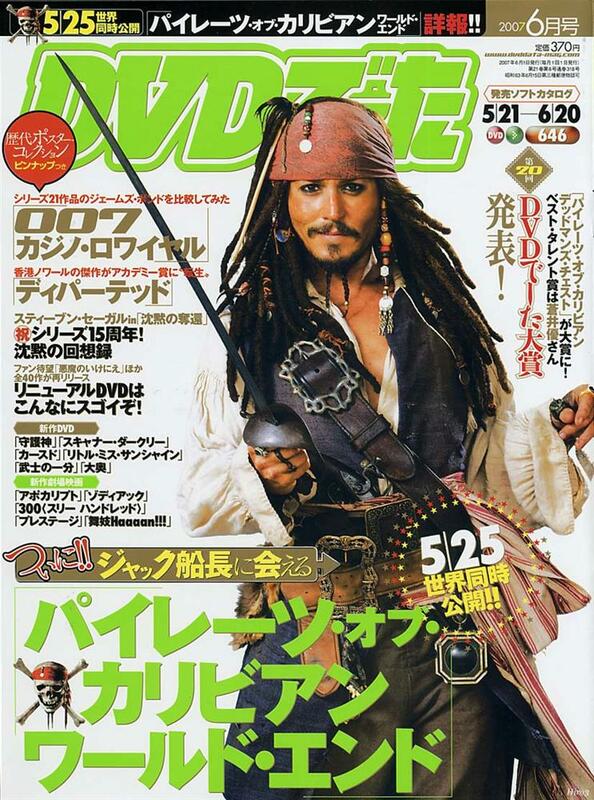 Ever since the release of PIRATES OF THE CARIBBEAN: THE CURSE OF THE BLACK PEARL, it is a rare month when Johnny does not appear on the cover of at least one of the many Japanese movie magazines. 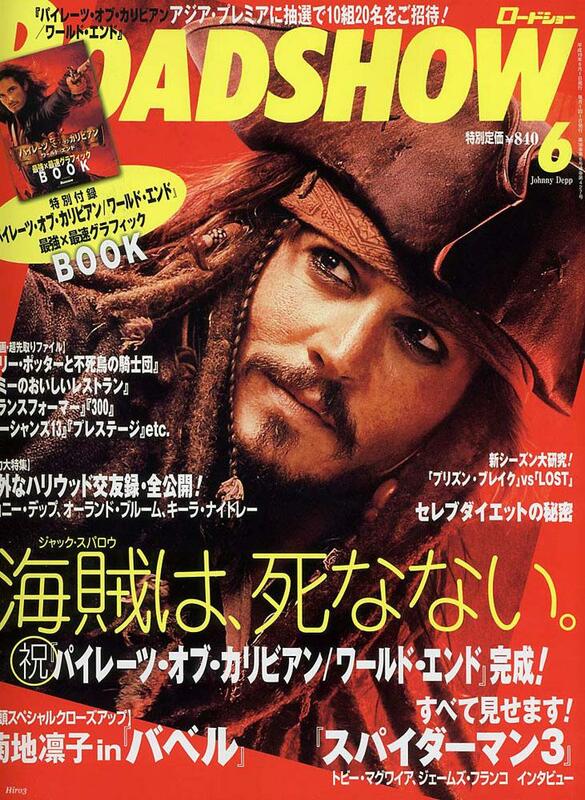 His recent visits to Japan for the premieres of CHARLIE AND THE CHOCOLATE FACTORY, PIRATES OF THE CARIBBEAN: DEAD MANS CHEST, and PIRATES OF THE CARIBBEAN: AT WORLDS END have only enhanced his popularity. 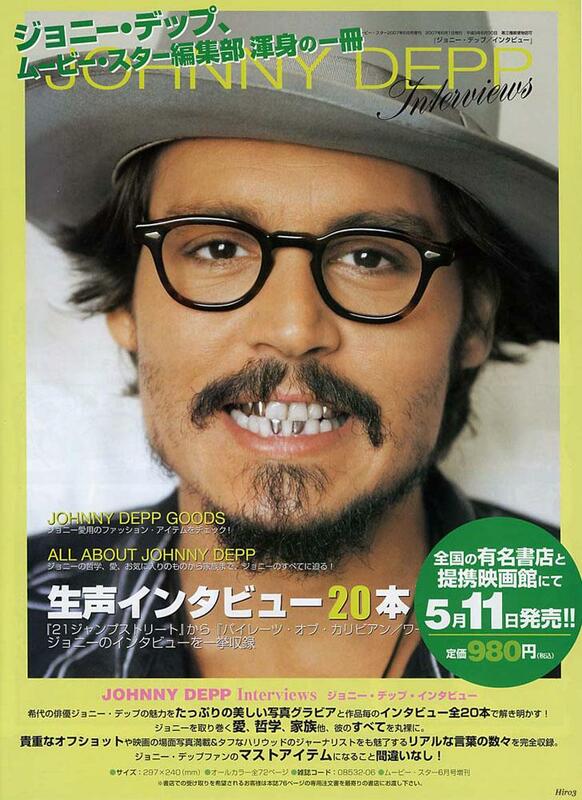 We are happy to collect and share these images of Johnny; many thanks to Sleepy for her scans and to her friend Kyoko, who has made many trips to bookstores and newsstands on our behalf. 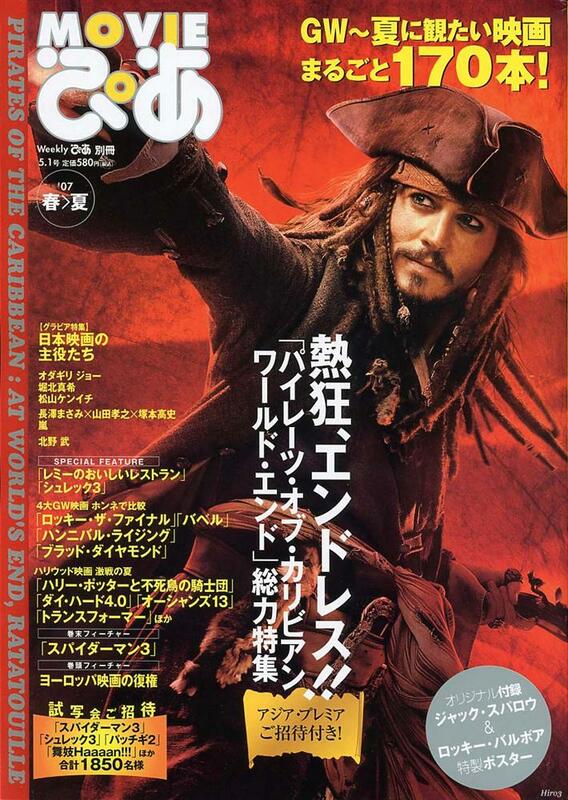 We would also like to thank Hiro3 and GAO, who faithfully post scans of the latest Japanese magazines on the Zone every month and share their time, work, and personal library so generously with all of us. 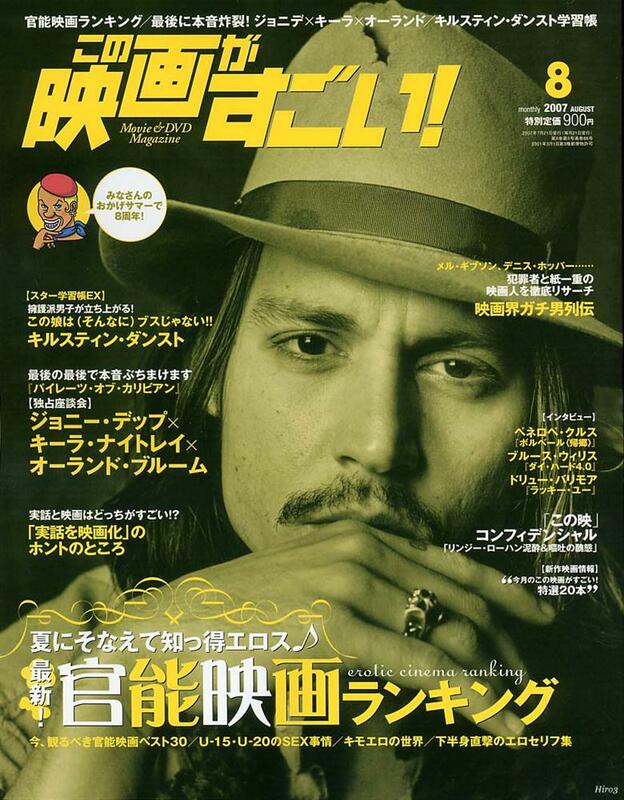 Hiro3 donated many covers to this gallery when the post office lost a box of Sleepy's magazines in transit; we thank Hiro3 for coming to our rescue!